High Loader can be treated with antimicrobials, and is recyclable. 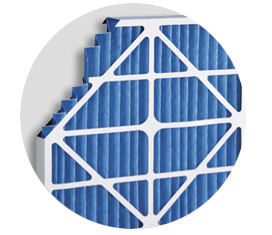 High Loader media for pleated filter applications is rated for efficiency at G3, or G4. High Loader for rigid cell pocket filters is rated for efficiency at G3, G4, F5 or F6. 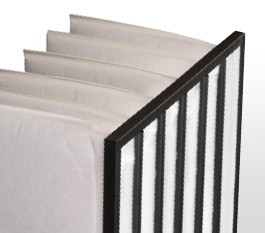 manufactured in various gauges for pleating applications, high-loft, bag filters and downdraft filters. This full-synthetic media can also be produced with or without a gradient structure. High Loader is an all-mechanical media and does not rely on electrostatic charge to maintain filtration efficiency. It has two features which make it highly desirable for a broad range of applications. First, it has, and maintains, a low pressure drop profile for an extended time following installation. This means it has a long service life, and will not cause energy use to rise to compensate for greater airflow resistance, as is the case with most conventional mechanical media. Second, particles load the entire depth of the media, so dust loading capacity is exceptionally high.